In our online store you can choose and buy numerous varieties of seeds for outdoor, these can be regular or feminized, Indicas, Sativas and Indica-Sativa hybrids. Currently all seed banks offer a wide variety of these seeds. 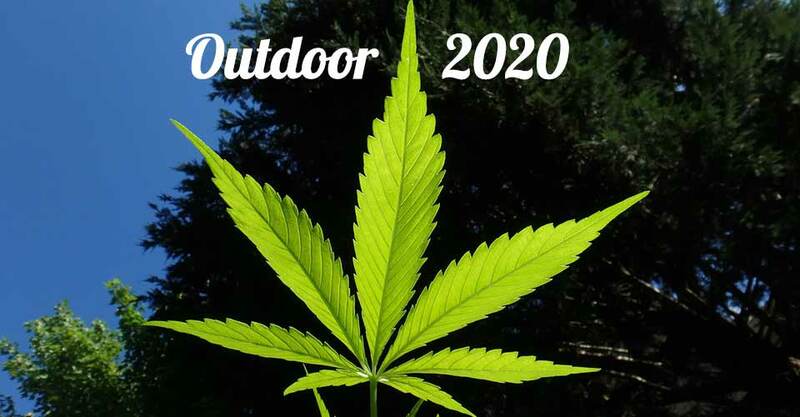 If you are thinking about growing cannabis outdoors you should bear in mind these basic points. Choose a sunny and protected place, which is hidden from prying eyes, it can be in a back garden, behind a shed or in a clearing in a forest that is difficult to locate. If it is in a mountainous area, it is preferable to cultivate on a southern slope (if you are in the northern hemisphere), and on a northern slope (if you are in the southern hemisphere) because you have to always consider sunlight. Another very important factor is the condition of the soil and the PH value, you can determine the value of the PH by means of a meter or a test strip of PH value. Two cases can occur: the value is too low you must add additives such as calcium fertilizer, and if this PH value is too high, you can use sulfur. Cannabis prefers clay soils that contain sand, mud and a small amount of clay. It is important that the land be fertile and if necessary you can fertilize the soil, or look in specialized trades special land for pots in which to grow cannabis.